I don't know if they should make it 2 movies, I don't know how or where they should stop the first one. I don't think we should worry about the difference between Bella's and Jacobs parts. For the movie it's not needed to stay with a pov the way the book is written. I know that for ecplise they aren't sticking to Bella's POV. They are going to show us some scenes from seattle and the cullens in battle. Somethings that aren't from Bellas POV so they could do that with BD as wel. with CGI they could make a baby look aware... that wouldn't be to difficult..
Answering the last question of the day, Rob shared his shooting schedule for 2010 – including, at least for now, filming the novel adaptation Bel Ami, the western Unbound Captives, and yes, Breaking Dawn. "I think the tentative time for Breaking Dawn is fall of next year," Pattinson said, adding that Summit "may well change that." ^^ Yes I've seen this too ! But it still isn't officialy confirmed by Summit, but I'm sure that will follow soon. Maybe they are keeping the news for the New Moon Premiere or something. I'm not sure about the two movie thing, because I wouldn't know when they should stop the first one, but on the other hand, I'm afraid they really are going to cut 2 much if they want to keep the movie within 2 hours. I think they will have the CGi the baby Renesmee, but of course a baby with those kind of adult expression doesn't exist. But maybe for the todler Renesmee. I don't know. But I really do hope they finish the saga, because it would be really ridiculous if they didn't. I'd rather have a movie that isn't that perfect, than(then?) not movie at all. 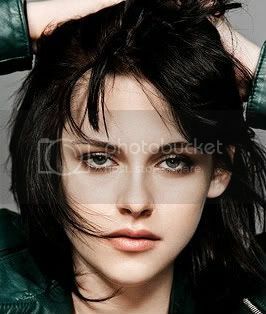 Kristen is a fantastic actress, so I'd love to see BD become two movies. It has tons of terrific material. I'm sorry, I just don't like the idea of turning it into two movies. I obviously want everything to be in the films, but I mean... is it really necessary? I like going to see one movie for one book. It just makes more sense to me. Oh my goodness I totally agree with this also! She's much better at the intense actions scenes that the clumsy stuff.. even though I think she's OKAY at that. I cant wait to se her as a vampire! BD was a bit soft i thought it could be made into an awesome film the pregnancy and birth compared to how Bella will look as a vamp, will be good too. dunno how they will do renesme though like some one said cgi probably. I knew they would make Breaking Dawn as long as these movies keep making them money, its sad to think that the book made into movies aren't just for the fans, its really all about money. With New Moon breaking records, they will no doubt be making more of these. To me Breaking Dawn was the best in the series, which is probably because I'm a guy and don't get into the mushy stuff as much as the girls, and BD is more of the big battle I was waiting for. As for if it should be one movie or two, its going to depend on the length of the movie, most people don't want to sit and watch a film over two hours, so they might want to go with two, also they can make more money off two movies rather than just one. If they turn BD into a film, I'm just not going to see it. I dislike the book so much, I like to pretend there are only 3 books and that's it. There's no way I'd be able to sit through the film version, I can't even bring myself to read the book a second time. Nikki-- wrote: If they turn BD into a film, I'm just not going to see it. I dislike the book so much, I like to pretend there are only 3 books and that's it. There's no way I'd be able to sit through the film version, I can't even bring myself to read the book a second time. I literally cannot comprehend how you can say this. I can't wait to see the wedding, the honeymoon, all the different vampires, EVERYTHING! I wouldn't mind it being made into 2 movies. They could stop the first one right after Jake imprints on Renesme. If they are going to do one movie, I hope it's longer than 2 hours. I don't see how they could make it true to the book and be a great movie in just 2 hours.